From Grand Slams to Gold Medals and World Champions, Ann Quinn has a long track record of creating Winners. Pat Cash, Pat Rafter, Australian Cricket Team members, an Aussie Rules National Team, World Boxing and Kickboxing Champions and multiple Paralympic Gold Medallists. Her singers and musicians have also performed on stages all over the world and her executives have learned to become the CEO of their own lives with Ann’s coaching and inspirational guidance. Ann is the Director of Quintessential Edge with bases in London, UK and Melbourne, Australia. As a peak performance specialist, she helps her clients be extraordinary and plan for success in all areas of their lives so they too can become energised to excel beyond their dreams and enjoy a happy, healthy and fulfilled life. Her career and experiences have been extensive and diverse living and working in the US, Australia and the UK. Her passion is to help people from all walks of life achieve their quintessential potential. From coaching executives to sporting stars, from working on the professional tennis tour to teaching Performance Psychology at Melbourne University , and heading up Sports Science and Innovation at the LTA in England , Ann has coached lots of high achievers. She too has held Leadership positions in private companies and large organizations as well as running her own consulting business and has travelled the world lecturing on 6 continents and in more than 20 countries. 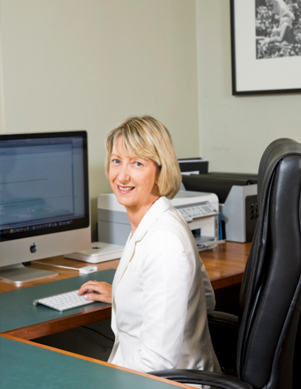 Ann has been honoured with many awards including the National Strength and Conditioning Association Strength and Conditioning Coach of the Year, Australian Sports Medal; Professional Tennis Registry Plagenhoef Sport Science Award, and the International Tennis Federation (ITF) Award for services to the game in coaching. She has also been extensively featured in television, radio, newspapers and magazines around the world. Ann has a Ph.D. in Psychology (Universityof Melbourne), M.Sc. in Exercise Science (University of Illinois), B.App.Sc. in Human Movement (RMIT), Dip.Ed. (Melbourne) and Dip. Nutrition (London). She is also a certified practitioner of Neuro-Linguistic Programming and Time Line Therapy®. She was formerly a member of the ITF Coaches Commission for 8 years and is now a member of their Sports Medicine and Sports Science Commission. She sits on the Sony Ericsson WTA Tour Professional Development Panel and has also written, co-authored and edited several coaching publications. In her latest book, ‘Become the CEO of Your Own Life’ – 100 Quinnessential Tips to Make the Most of Your Life, and accompanying questionnaire, she helps people from a variety of backgrounds, create a winning game plan for an extraordinary life.